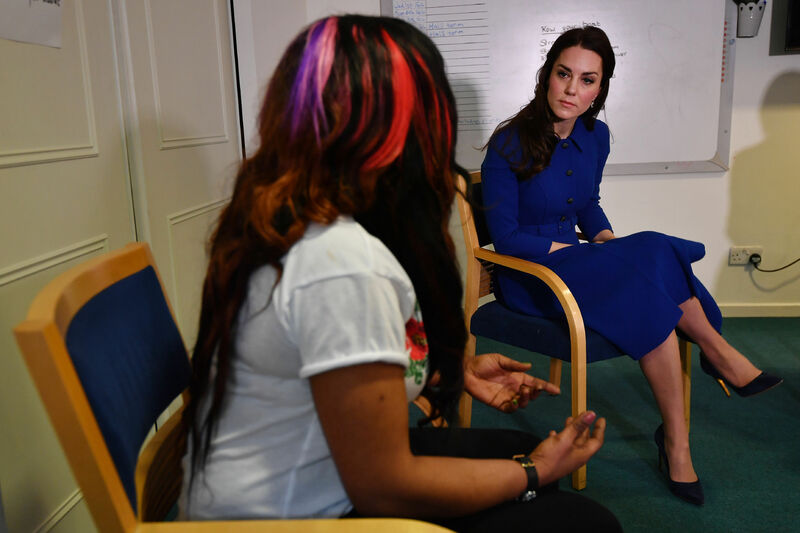 The Duchess of Cambridge, Patron of the Anna Freud National Centre for Children and Families, visits the Centre's Early Years Parenting Unit (EYPU) to learn more about their work with families who have children under five years old. The visit marks The Duchess' continued desire to draw attention to child mental health issues and the importance early intervention, and working with the whole family, can make to those in vulnerable situations. The Duchess of Cambridge met parents who have completed the treatment programme, hearing about their experiences of what bought them to the unit, their time in the programme, and where they are in their lives now. The Early Years Parenting Unit opened in April 2011 and offers an assessment and treatment programme for groups of parents with personality disorders, and their children under five, who are at risk of being taken into care. The treatment seeks to address the parents’ personality disorders; children's developmental needs; and the parent-child relationship. The ultimate aim is to keep families together, and help parents become more aware of, and responsive to, their children's needs, leading to more emotionally attuned parenting. The Duchess met current families as they participated in a 'theraplay' session, which promotes the attachment relationship between parents and children. Her Royal Highness also met staff who provide this important and highly specialised treatment programme. The Duchess then met families who have benefited from another of the Centre’s early years service, Parent Infant Psychotherapy (PIP). The PIP service supports expecting and new parents, placing the relationship between parent and baby at its centre, acknowledging the need to understand and to make sense of the impact that the baby has on the parent and vice-versa. The visit marked the launch of the Centre’s spotlight on childhood adversity and trauma. For more information on the Anna Freud Centre visit their website.